When the phenomenon of cord-cutting— dropping a cable subscription in favor of one or more online streaming services—started attracting media attention a couple of years ago, the TV industry didn’t respond quickly. Cord-cutters were a very small piece of the TV ecosystem, but each time someone dropped their $120 subscription it cost everyone in the chain, from the distributor to every content channel. Eventually the industry had to pay attention. There are currently two primary approaches to winning back cord-cutters and preventing more people from canceling their subscriptions: the “skinny bundle” and over-the-top (OTT) services. 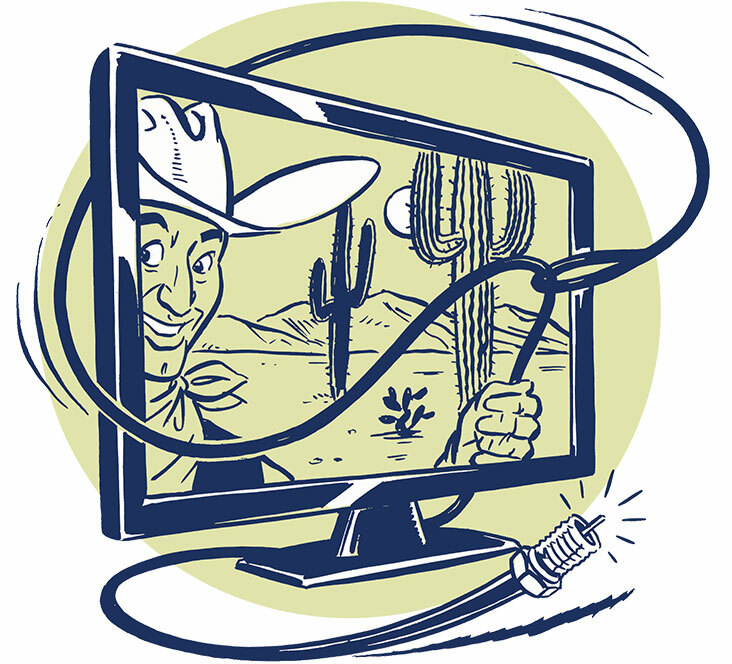 The skinny bundle is a response to customer concerns that cable packages are too expensive. The bundle had simply gotten too big; there were 250 channels, and the customer probably never watched 200 of them. At first, the obvious answer seemed to be fewer channels at a lower cost—but the skinny bundle never seems to satisfy anyone because it doesn’t include customers’ “passion” channels. There’s no skinny bundle with the History Channel, for instance, or the Discovery Channel. Meanwhile, there are 5,000 OTT “channels”—that is, content streaming online directly to consumers—and we saw companies like HBO and CBS introduce OTT services in 2014 and 2015, but adoption was slower than expected. Other companies were hesitant to follow until this year when Disney announced it will launch its own ESPN and Disney-branded streaming services. These OTT services are also helping the established players in the TV industry learn about their customers’ changing viewing habits. Look at CBS’s new Star Trek: Discovery series. A new episode will be released each week. Who will watch it in real time, and who will binge-watch it later? Will either of these approaches work? I think the answer will be a hybrid model, with different options for different viewers.